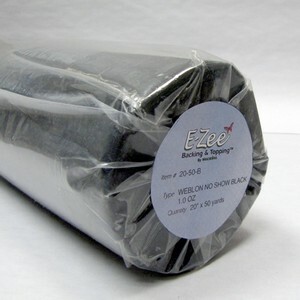 E-Zee Weblon No Show 1.0 oz. is a low profile, soft, sheer Cut Away stabilizer that provides low visibility with lightweight fabrics. Made of 100% embossed nylon, it is formaldehyde -free. The low profile, sheer quality prevents the “badge effect” that is common when too heavy a stabilizer is used. Use with high performance wear, knits and loosely woven fabrics. Great for designs up to 8,000 stitches. Two pieces may be used for larger and more dense designs.